It’s been a few days since our last update here at Ultra168, yet again, more jet-setting around the globe has taken us to destinations far and wide, but we’ll be back on track soon. Saucony Peregrine - Rave Reviews so far... but how will they go in Australia? 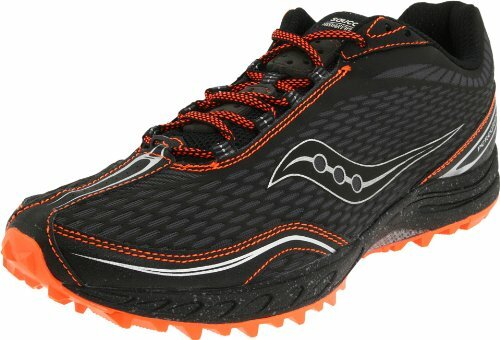 Coming shortly will be a review of the some of these bad boys, which have already been given rave reviews by the likes of irunfar.com. Part of my trip back to the UK meant that I could pick up a pair of these running shoes whilst back here in the Motherland, so I’ll be taking them for their first spin on Sunday as I venture out into some of the trails here in the UK. A new phenomenon for me, given that I only took up running seriously on my move to Australia, so UK trail running will seem a little alien to me. At least I won’t have to look out for snakes over here! The sole is much ‘chunkier’ than I’m used to as well, and again, little to no flexibility, but very little heel to toe drop (4mm if I remember correctly), so a bonus for me. Indeed, they almost remind me of Brooks Cascadia in some respects. ne thing’s for sure, I’m very keen to give these a whirl as I make my final decision ahead of GNW as to which shoes to don for the hallowed turf of the Central Coast. Having done the Glasshouse 50 at the weekend in the Inov8 Talon 190’s. I’ll confirm that these shoes are really only good for me in races of up to 50kms. Over and above that, the ‘talon’s’ are really felt as you push above 45kms. I still think they’re a great shoe, but for me, only on the shorter, faster stuff. If I get on well with the Saucony’s, then they could be the shoe for GNW. If not, then it will be the ever trusted Nike Frees, and leech heaven for me! GNW gonna be all about Vibrams Dan. With a monkey-scrotum hydration pack, watermelon gel barrels, accumulated chafe compression shorts, and fullbody mud sunscreen. Wish I’d done that one – hilarity – but looking forward to detailed write-up on the Peregrines. They look like a trail Kinvara, with that being already a pretty highly rated running shoe.